Just as YMCAs welcome people of all ages and backgrounds in the real world, those core values can and should carry through into the digital space. To help ensure the sites and apps we build are usable to people with visual, motor, auditory, speech, or cognitive disabilities, the Web Content Accessibility Guidelines provide guidance for site builders on how to achieve a high degree of accessibility. 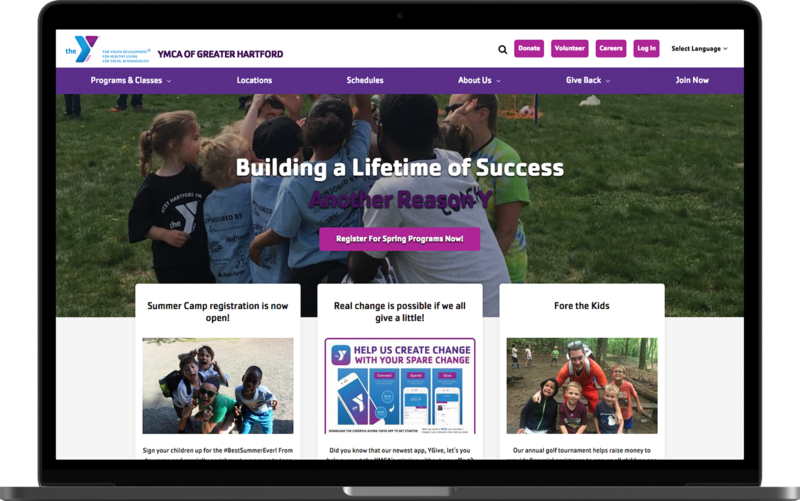 How can we make YMCA websites accessible to a bigger audience? While accessibility is a big topic, choosing the right colors and contrast levels can be a good starting point to improve readability. Colorblind Simulation, which can help you reevaluate your design through the eyes of 8 types of color blindness. 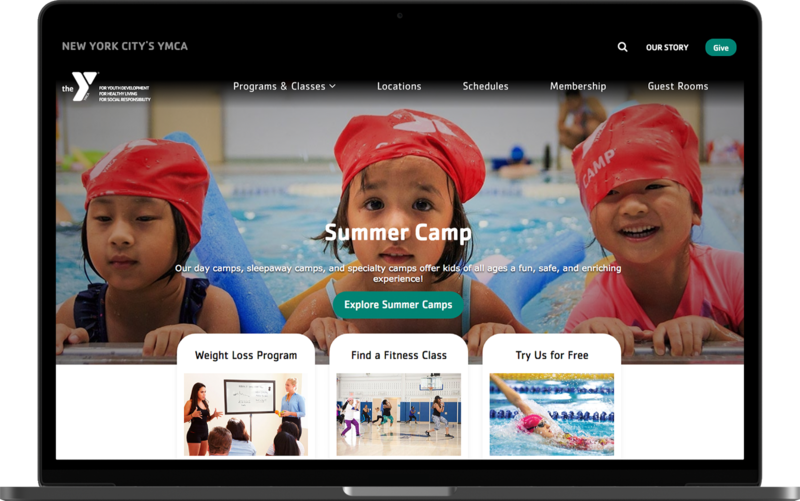 For YMCA websites, we have tested white text on top of different brand colors to see how accessible the brand-compliant combinations are. This contrast testing helps us ensure we can make the site readable to all users while remaining brand compliant. See the example below of the “purple” Y colors evaluated for AA and AAA accessibility. Note that in most cases, AA compliance is a sufficient standard to target. To make information easier for people with visual impairment to process, color alone usually isn’t a sufficient indicator. The picture below gives a brief example of how people with a form of color-blindness known as Achromatopsia would see the chart. As you can see, the chart of the right requires a lot more effort when differentiating shades of grey. However, if we apply both colors and textures onto the bars, it will be easier to process the information. Simple tests like these can help ensure our sites and apps “walk the talk” of embodying the values of the Y and that all of our users have a satisfying digital experience. 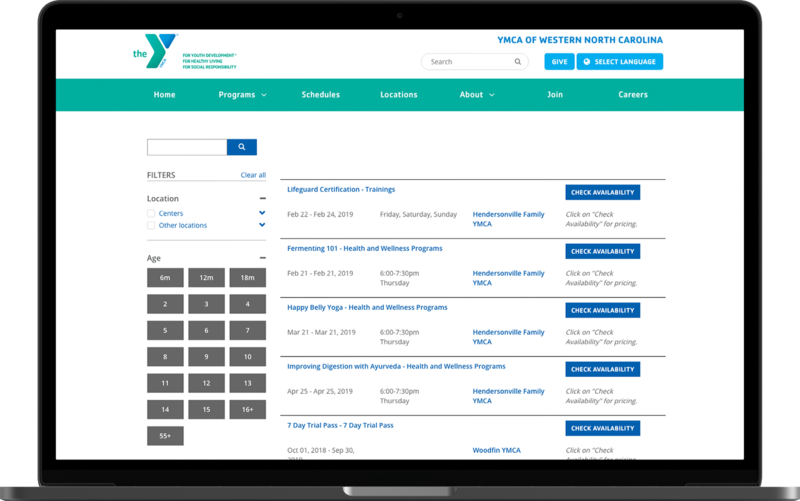 Release notes will be posted to https://community.openymca.org within 24 hours after the release has been made public. If you have any questions about the release contact your Project Manager to determine if it’s time to do an Open Y upgrade. The user journey is one of the key aspects of your digital experience. Especially the user’s journey to membership, registration, or donation. Almost every digital experience shares this one thing in common — the conversion funnel. Whether you’ve thought of it before, or not, if there’s a goal to get the visitor to take action — any action — there’s a conversion funnel. The funnel visualization report can start to help you optimize the user’s journey to the conversion goal. Google Analytics has a great report called the Funnel Visualization report. It can help identify pages where users exit their journey to conversion. The ImageX team has put together a detailed blog on how you can use this report to help you better understand your users and their journeys. Once you've done that you can see Unpublishing option when editing an event. If you would like further information on any of these posts, contact info@imagexmedia.com or your project manager today.